Gov. Ivey, President of Toyota Motor Corporation Akio Toyoda and President and CEO of Mazda Motor Corporation Masamichi Kogai, make Project New World announcement on January 10, 2018. Since taking office, Governor Ivey has helped recruit more than $12.4 billion in economic development investments, creating over 25,000 new jobs for our economy! 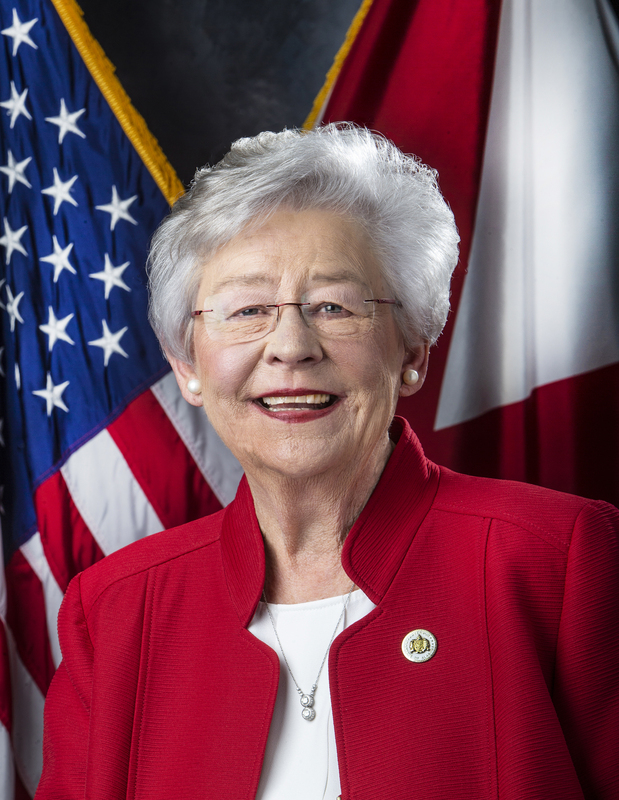 In fact, Governor Ivey has worked toward sparking Alabama’s economic development and job creation efforts since before she took office. During her time as Lt. 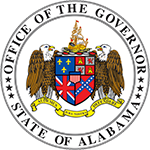 Governor, she played an important role in passing key legislation to attract new industries to Alabama. Alabama recently landed its largest economic development investment in the last decade with the announcement of the $1.6 billion Mazda Toyota Manufacturing USA joint assembly plant being constructed in Huntsville. In 2018, growth in Alabama’s automotive sector accelerated, accounting for one-fourth of all new investment and job creation from economic development projects in Alabama within the last year. Gov. 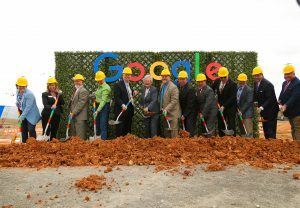 Ivey joins Google representatives to break ground on their new data center in Jackson County on April 9, 2018. All of the state’s existing global automakers — Mercedes, Honda, Hyundai and Toyota — have launched expansion projects since Governor Ivey took office. Furthermore, the aerospace and aviation industries continue to expand upon their rich history in the state with frequent new announcements being made. Big tech companies are steadily flocking to Alabama. In 2018, tech names including Facebook, Amazon, Google and Birmingham-based Shipt all announced major investments in the state. Business Facilities Magazine recently ranked Alabama as having the No. 1 business climate in the nation, and Global Trade magazine selected Alabama as the No. 1 state for manufacturing. A vital part of Governor Ivey’s economic development plan is to have a well-educated workforce that is ready for new industry that creates jobs in Alabama. Gov. 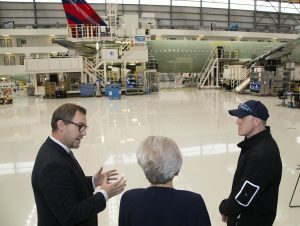 Ivey toured the Airbus facility on April 17, 2018 in Mobile. 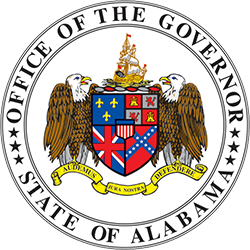 While serving at the helm of our state, Governor Ivey has led Alabama to major employment milestones, including having the largest over-the-year percentage job growth rate on record at 2.2 percent, which accounts for an increase of 44,300 jobs in 2018. Alabama has hit record low unemployment rates and there are currently more Alabamians working than ever before. Gov. Ivey greeting employers at the Governor's Job Fair for People with Disabilities on October 30, 2017, in Birmingham. 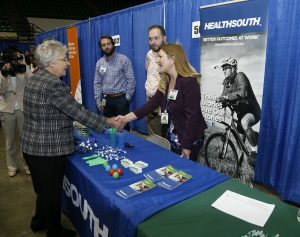 Since taking office, more than 1,000 employers have participated in job fairs hosted by the Alabama Department of Labor and the job fairs were attended by nearly 13,000 job seekers. Governor Ivey hosted the first-ever Governor’s Job Fair for People with Disabilities and the Second Chance Job Fair to specifically focus on giving those with disabilities and those who were previously incarcerated the chance to get a job. 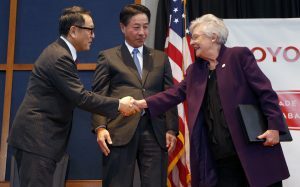 Governor Ivey is committed to continuing this unprecedented success and makes every effort to work with elected officials, state agencies and others to create more opportunities for Alabamians to provide a better living for themselves and their families.